MT. CRAWFORD, Va. – The Jeffrey S. Evans & Associates’ Americana and Fine Antiques Auction on Nov. 14 was a success by all accounts and generated strong prices in virtually every category. With over 100 consignors included, the auction represented the largest offering of high quality material Evans & Associates has ever put to market in a single sale. Bidding was intense throughout the long day, with over 3,000 registered bidders participating, and incorporated buyers from across the country and as far afield as Russia, France, Turkey, and the United Kingdom. The sale’s top lot was a rare 1776 map of New York City by John Montresor, a British surveyor who worked in secret to complete the project. This iconic depiction of New York City (Lot 397) was executed on the eve of the Revolution and had been commissioned by British Gen. Thomas Gage in anticipation of increased hostilities in the Colonies and the city in particular. Consigned from an important Virginia private collection, the map (below) brought $23,000 from a North Carolina private collector. 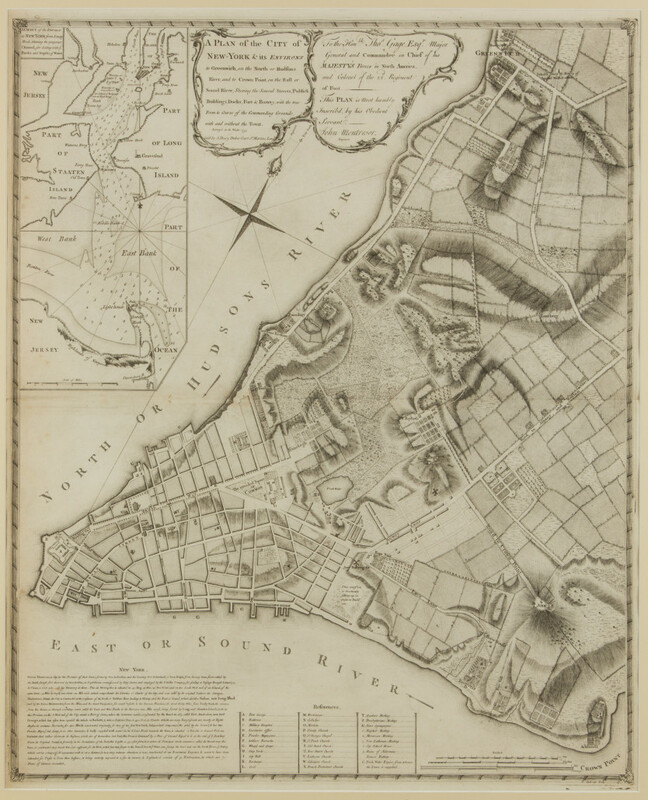 Rare John Montresor 1776 map of New York City. Price realized: $23,000. Jeffrey S. Evans & Associates image. 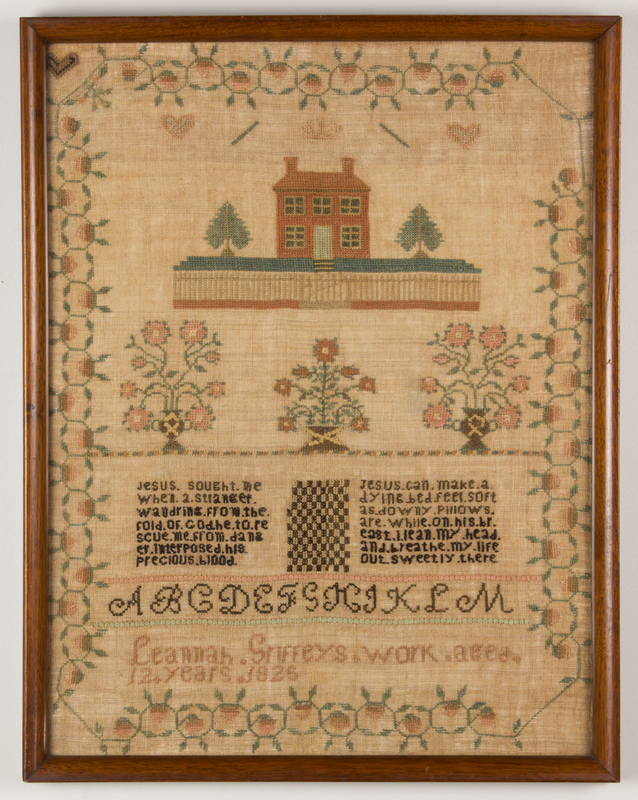 Another important consignment in the auction consisted of a group of fine Southern needlework samplers, all from a Tennessee private collection. In a sign of market strength, Southern needlework remains popular with collectors, and the sale included a number of fine specimens from Virginia, Tennessee and Kentucky that produced strong results. The top example (Lot 435), associated with a documented school of similar works, was executed in 1826 by Lennah Griffey in a western Virginia community, which came to be incorporated as Morgantown in 1838. She married Charles Madera in Monongalia County, Virginia (now West Virginia) in 1831, and the couple moved to the Iowa Territory in 1837, where she died of yellow fever shortly after arriving. The present example, noteworthy for its large and impressive visual format, its fine condition, and its important family history, brought $21,850 from a West Virginia private collector. Other areas of the sale produced positive results as well, demonstrating some signs of vigor in what is often an unpredictable market. Books and manuscripts were two such categories that exhibited strength. With a large portion of the sale’s selection deaccessioned from a Virginia institution, this material generated much interest from the Internet and included many rare examples. LiveAuctioneers.com facilitated absentee and Internet live bidding. 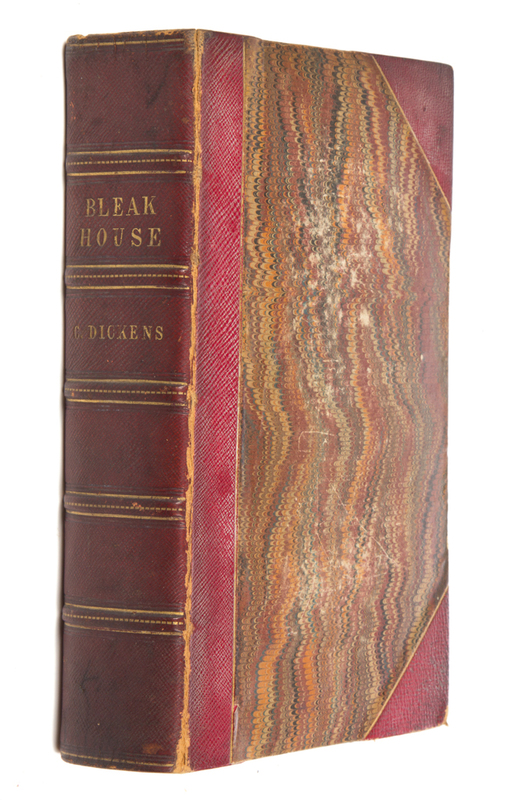 Leading the way was a first edition of Bleak House (Lot 1218) by Charles Dickens. Signed and inscribed by the author and presented to his close friend and colleague, Frank Stone, the unique volume brought $16,100. Another rare and unusual offering in the auction, a fine pair of 19th-century Limoges figural vases (Lot 386) depicting characters from Harriet Beecher Stowe’s Uncle Tom’s Cabin, garnered a significant amount of presale interest. 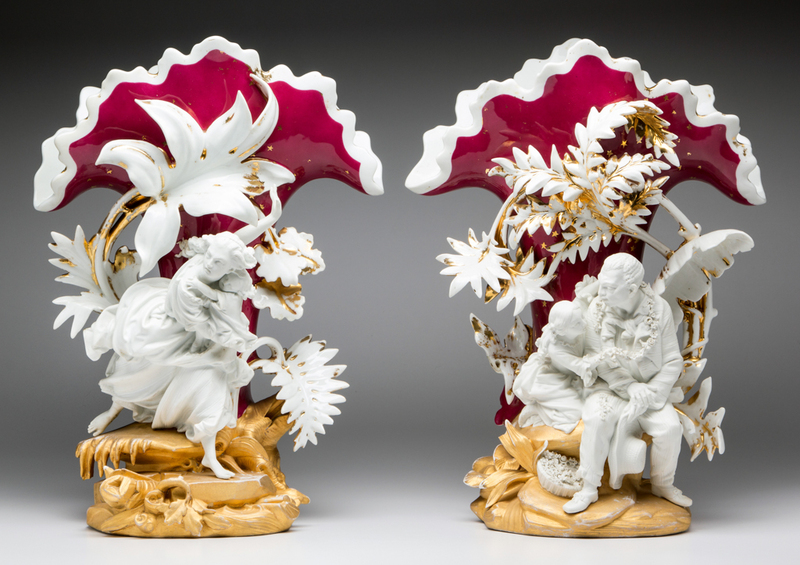 Deaccessioned from the Strong Museum in Rochester, New York, the elaborate pair (below) sold for $7,475 to a Virginia institution against several private collectors. Folk art is also regularly featured at the auction house, and the diverse selection in the auction garnered a significant amount of interest from bidders in house and online. One noteworthy example from this group was an important selection of circa 1915 Virginia prison art inlaid objects (Lot 515) made by Jeremiah Sidna Allen, a prominent figure associated with the 1912 Hillsville courtroom tragedy at Hillsville, Virginia. Allen completed these items while serving time at the Penitentiary in Richmond for his role in the affair and ultimately received a great deal of recognition during his lifetime for his intricate creations. 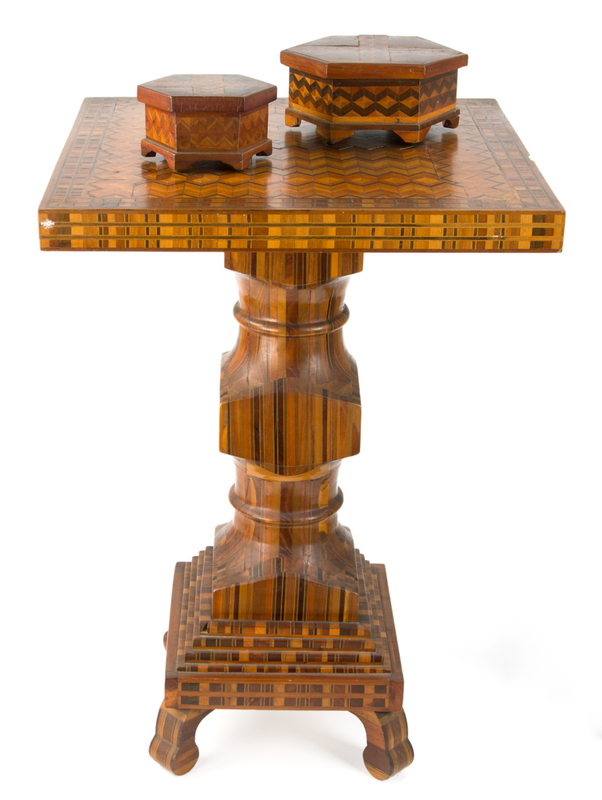 Highlighted by an elaborately inlaid lamp stand (below), the group, descended directly in the family of the maker, brought $9,200 from a private collector. For additional information email info@jeffreysevans.com or call 504-434-3939. Click here to view the fully illustrated catalog for this sale, complete with prices realized.